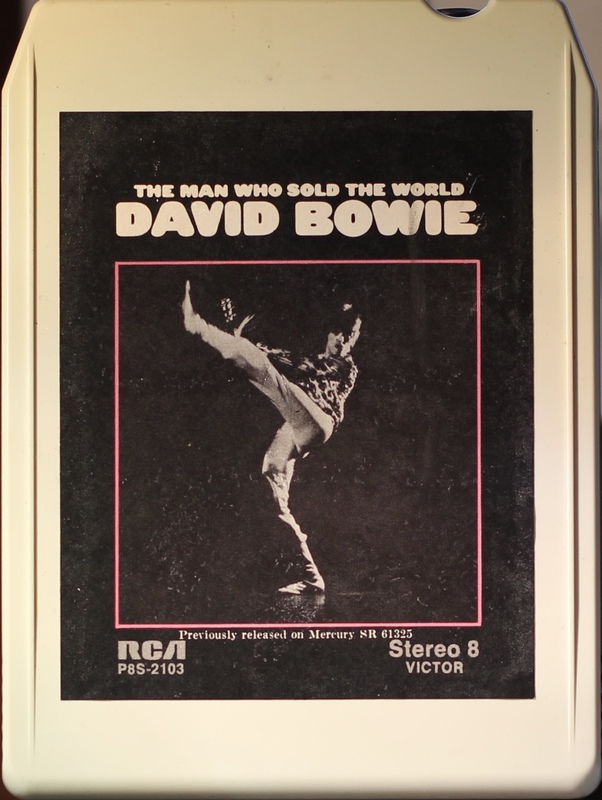 The Man Who Sold The World; USA; RCA; P8S-2103; 1972. 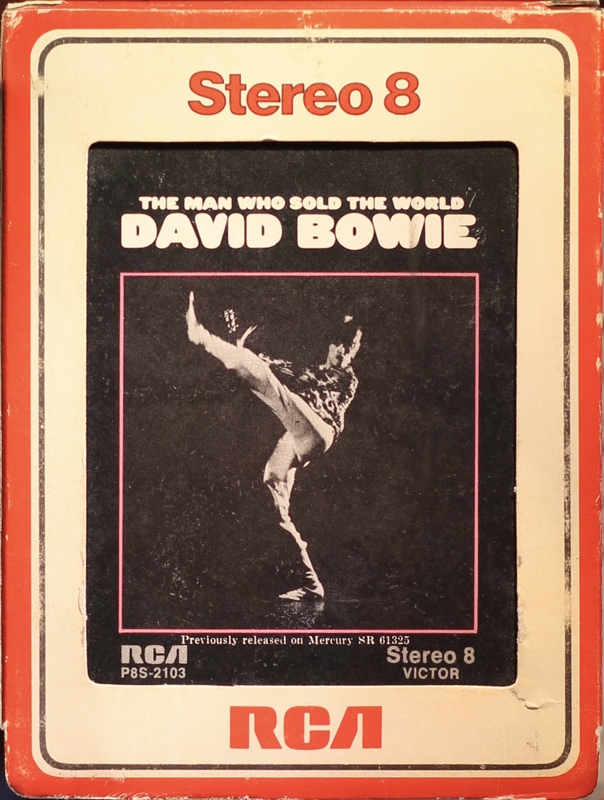 Red box sleeve with white border to cover picture. 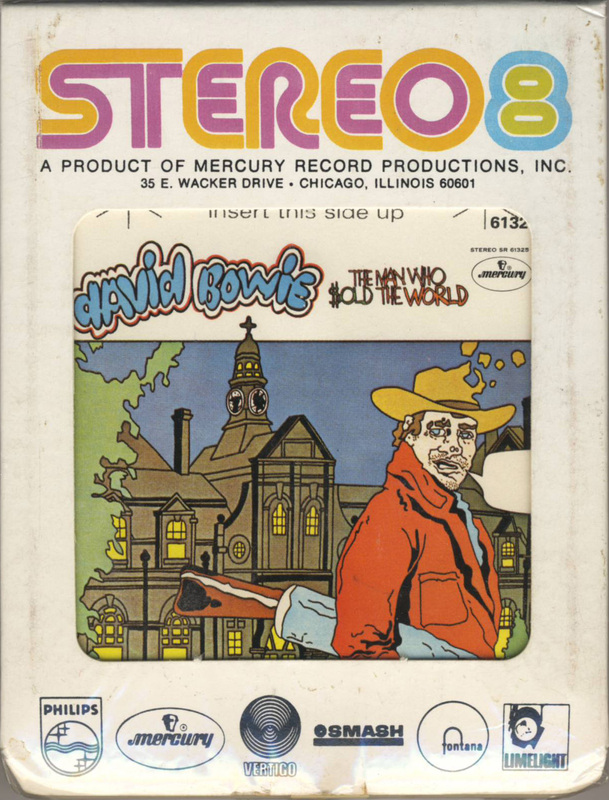 ‘Stereo 8’ on the top of the front panel and and the top panel and RCA logo on the bottom front panel. The side panels show Warranty and Care information on alternate sides. 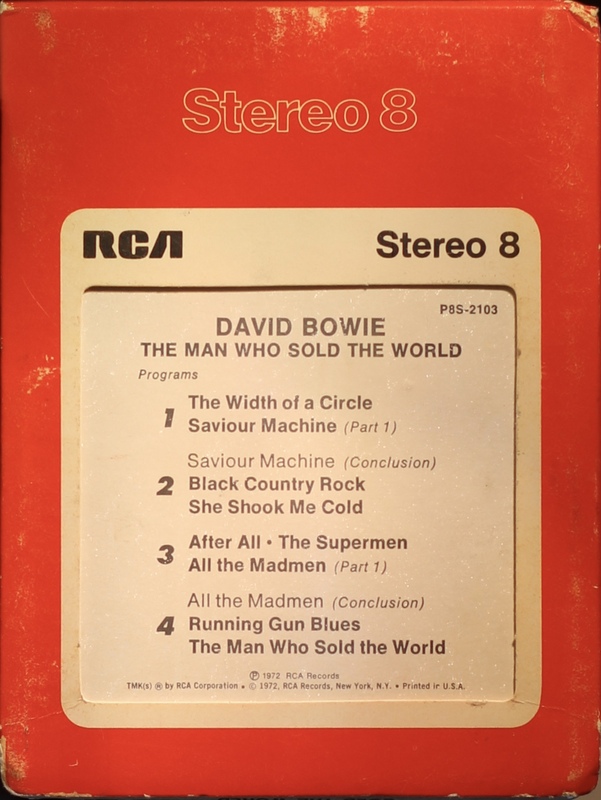 2: Saviour Machine (conclusion); Black Country Rock; She Shook Me Cold. 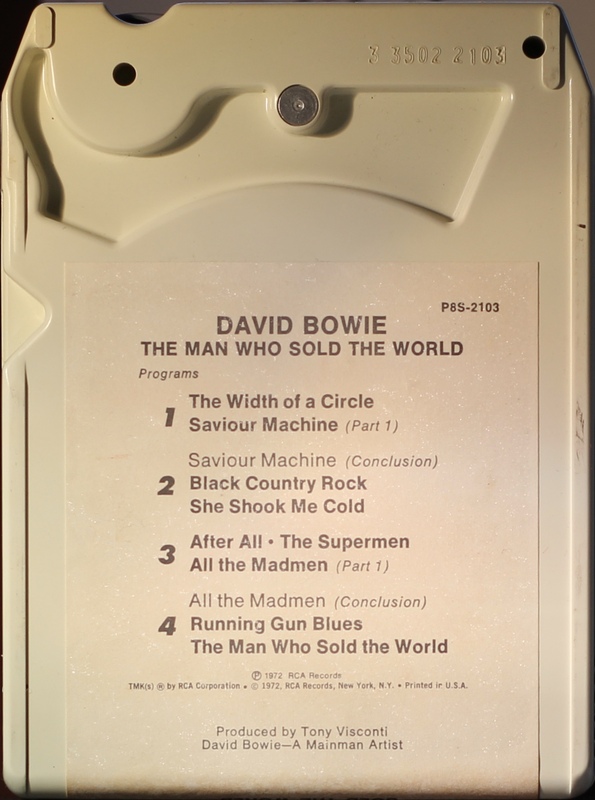 4: All The Madmen (conclusion); Running Gun Blues; The Man Who Sold The World. 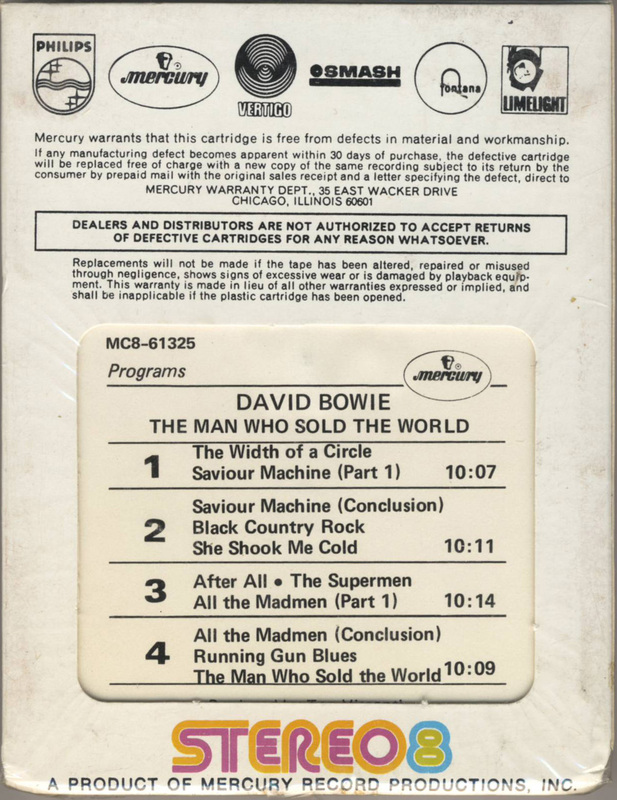 The Man Who Sold The World; USA; Mercury; MC8-61325. White box sleeve with white border to cover picture. ‘Stereo 8’ on the top of the front panel and and the top panel and side panel.